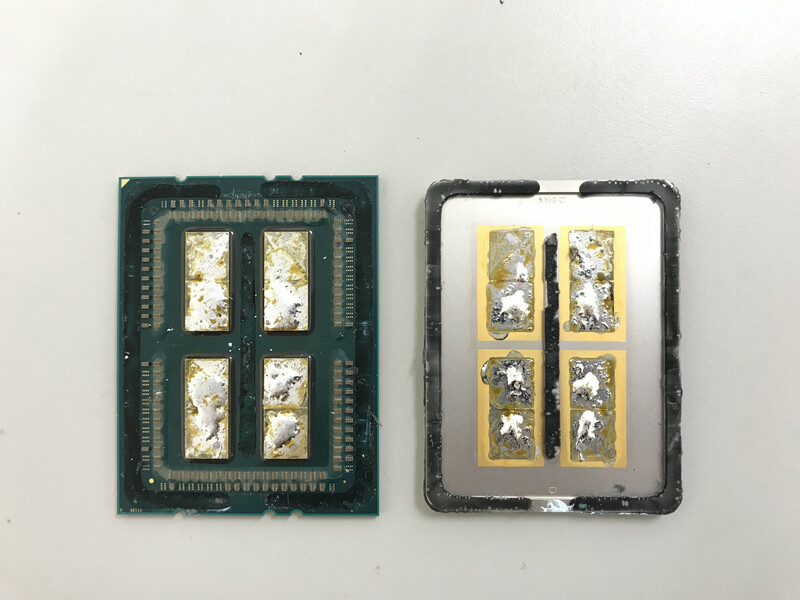 Intel: "If [AMD] Wanted an Intel Core i7-8086K CPU, [They] Could Have Just Asked Us"
Oh well, this almost makes us think of this industry as going hand in hand merrily, tongue-in-cheeking each other towards fulfilling, eternal happiness. It's a shame that this not usually the shape of our industry, but really, life isn't either, so let's keep our expectations in check. 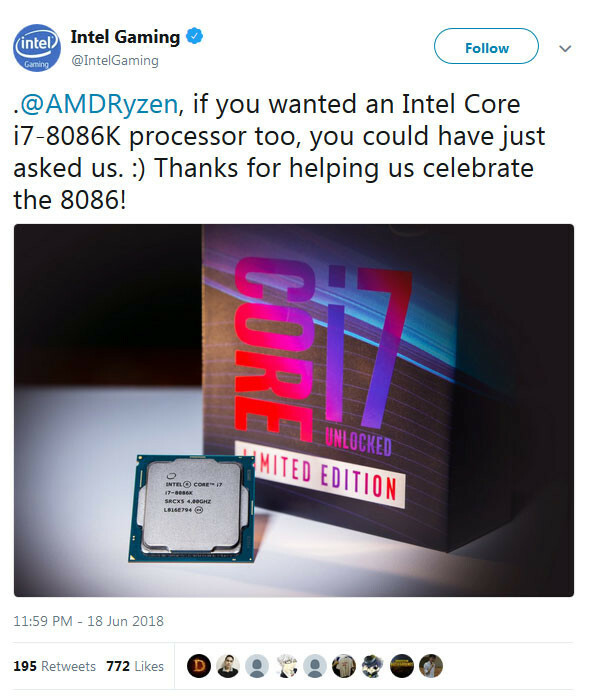 All in all, Intel's Twitter response to the viral, beautifully-crafted AMD initiative of exchanging one of Intel's commemorative 8086K CPUs for one of its Threadripper 1950X processors is equally satisfying - there's an unavoidable smile to be found while considering these two exchanges. AMD acknowledges Intel's contribution to the x86 architecture over the last 40 years. However, AMD is convinced that they are the leading company for future high-performance computing, and will "take it from here". 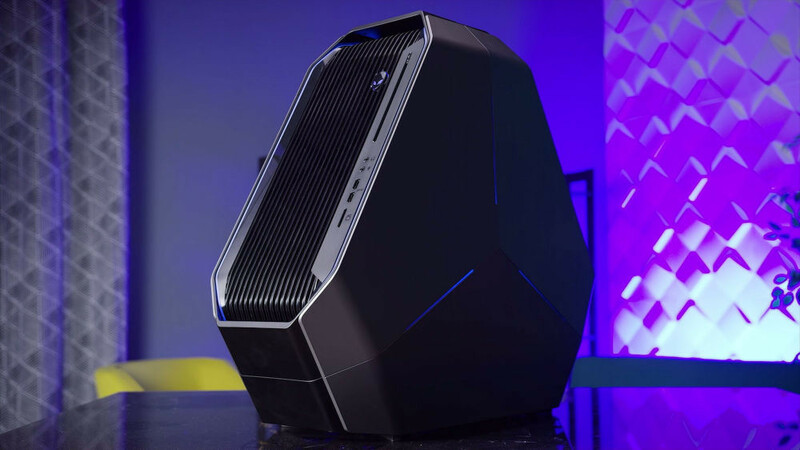 That's why AMD will hold its own online sweepstakes to give the first 40 U.S.-based winners of the Intel sweepstakes the opportunity to swap their 6-core prize for a 16-core monster. 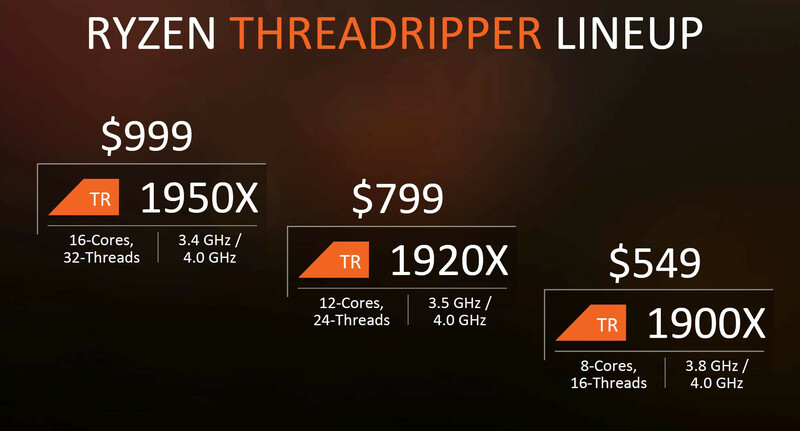 To put things into perspective, the Ryzen Threadripper 1950X has 16 cores, 32 threads, 40 MB of cache, and 64 PCIe Gen3 lanes. Now that's something hard to pass up on! AMD's sweepstakes will go live on June 25 at 1:00:00 PM EDT. If you were one of the lucky Core i7-8086K winners and want to take up on AMD's offer, check this page for further details. Update: Intel's response didn't take long. The company posted the following message to their Intel Gaming Twitter account: "if you wanted an Intel Core i7-8086K processor too, you could have just asked us. :)"
In a Forbes interview conducted by Anthony Leather, AMD officials Senior Vice President and General Manager Jim Anderson, Corporate Vice President of Worldwide Marketing John Taylor, Sarah Youngbauer of AMD's communications team, and James Prior, AMD's Senior Product Manager, have shed some light on the development process for AMD's equivalent of a flash hit - their HEDT, HCC Threadripper chips. 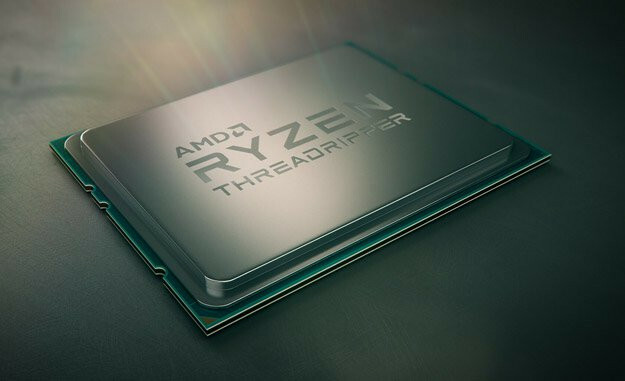 Threadripper, which leverages AMD's Zen architecture used in their Ryzen and EPYC processors, makes use of an MCM design with up to 16 cores and 32 threads, with AMD's svelte Zen, 8-core base units linked through the company's high speed interconnect Infinity Fabric. 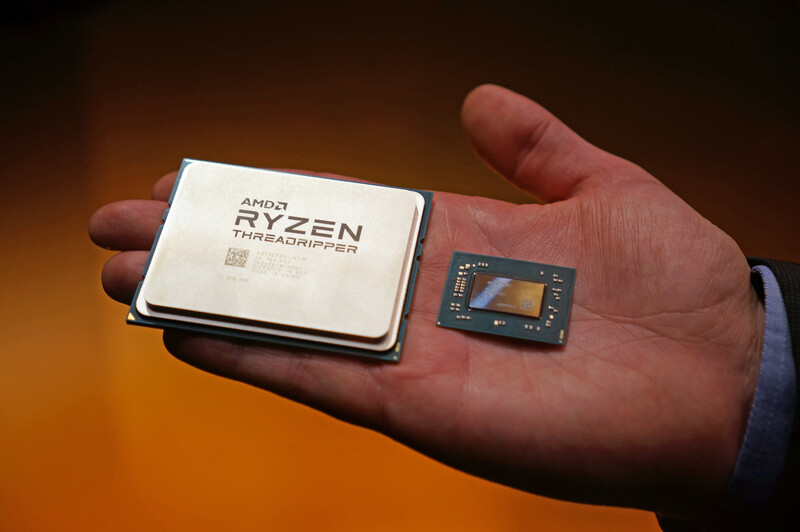 This has allowed the company to scale designs from four core processors with Ryzen 3, all the way towards the current cream of the crop Threadripper 1950X. 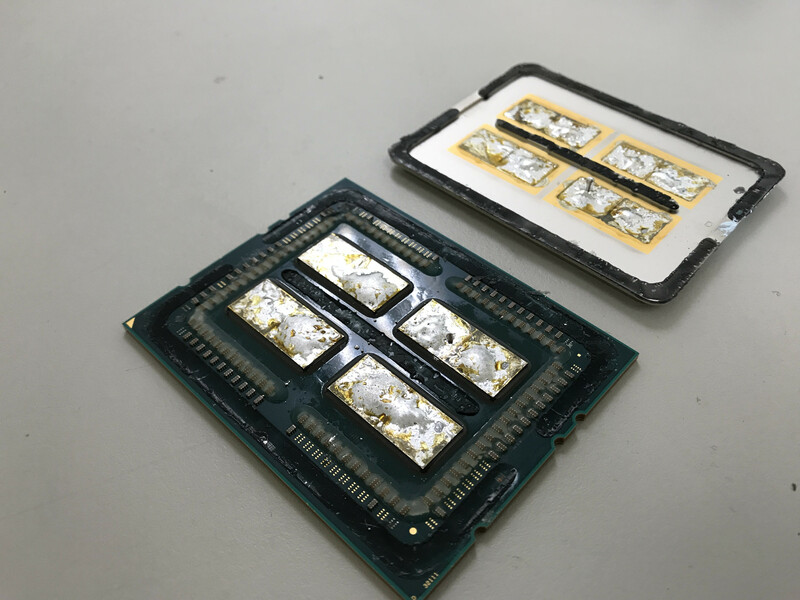 It's an extremely scalable design, which brings with it improved yields and some pretty significant cost savings for AMD due to smaller dies. This, in turn, means the company is able to more agressively price their Ryzen and Threadripper processors compared to the competition, at least when it comes to high core and thread counts for the same price bracket - and the success of that business decision is showing. For our forum lurkers, this article is marked as an editorial. Processor sales numbers of leading German retailer Mindfactory.de show AMD Ryzen processors to be outselling Intel processors for the first time in over a decade. 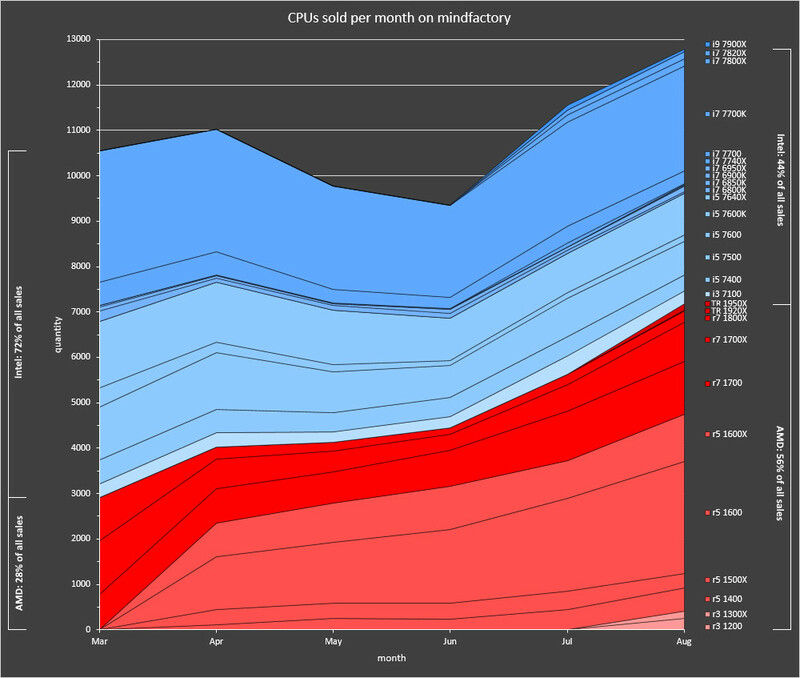 German and EU DIY PC buyers seem to have developed a taste for AMD Ryzen processors, which is reflecting in Mindfactory's sales figures. 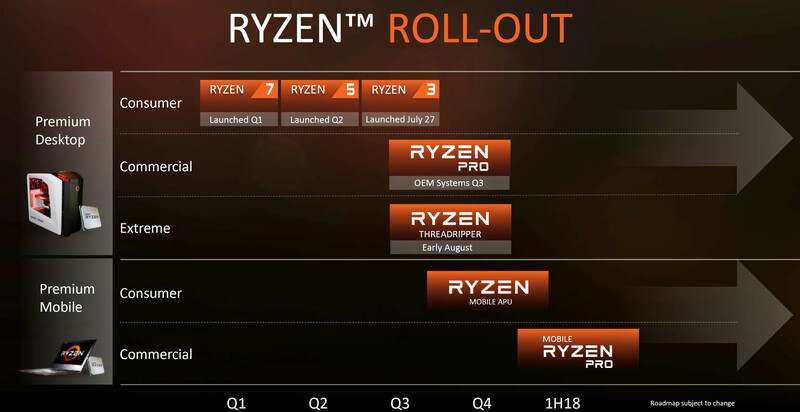 Since March 2017, when AMD launched its Ryzen 7 series, AMD processor sales have seen a steady growth from 28% (vs. 72% of Intel), to a stunning 56% by the end of August 2017. Mindfactory's sales is a test case of AMD's growth in the DIY processor market, which forced Intel to rush in its Core X family, and its 8th generation Core processor family, which could be out in Q3-2017. 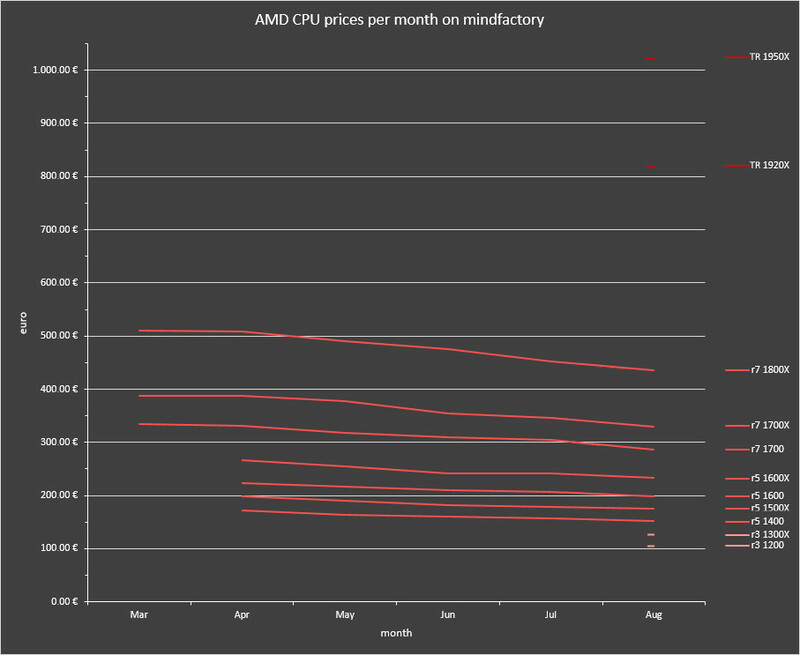 Ryzen 5 1600 appears to be the most popular AMD choice among Mindfactory's customers, as the 6-core/12-thread processor strikes a price-performance sweet-spot at 198€. The chip is outselling the similarly-priced Core i5-7500 by two times, and the i5-7600K by three times. The 8-core/16-thread Ryzen 7 1700 is the second most popular AMD Ryzen part, priced at 288€. 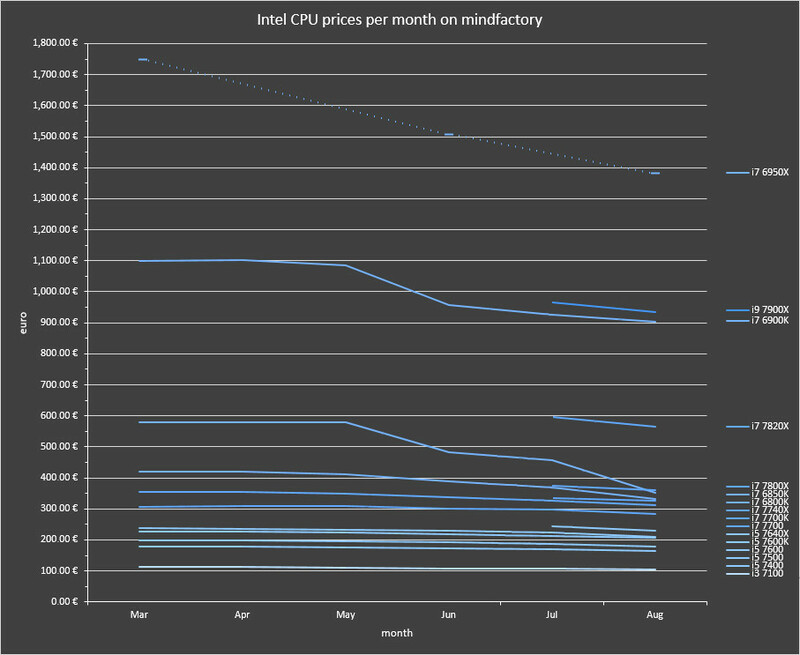 From the Intel camp, the Core i7-7700K still commands the single biggest chunk of Mindfactory's CPU sales. As expected, the Ryzen 7 1700X outsells the 1800X by five times. Also, the Ryzen Threadripper 1950X is outselling the Core i9-7900X by over three times. 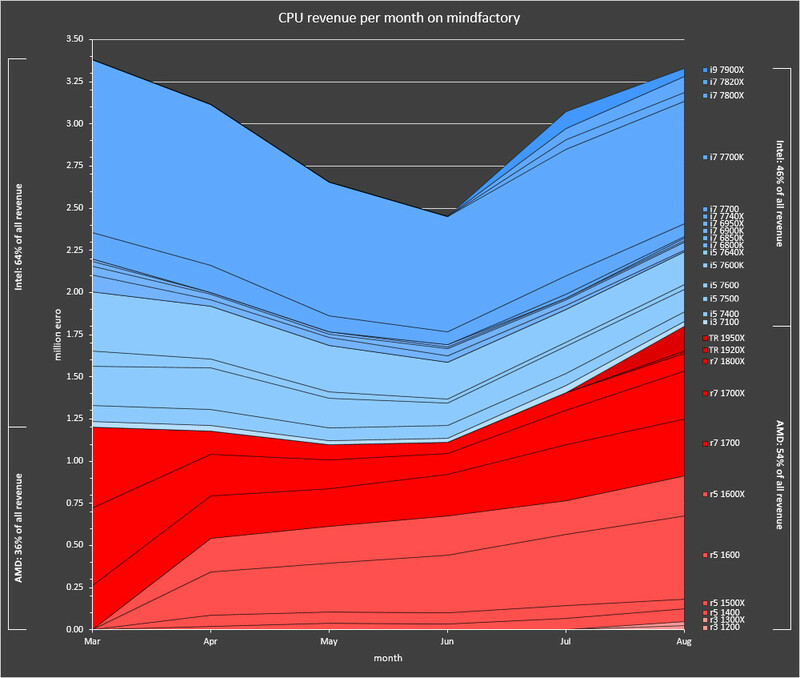 Find more interesting data in the beautifully drawn graphs by Redditor "Type-21." 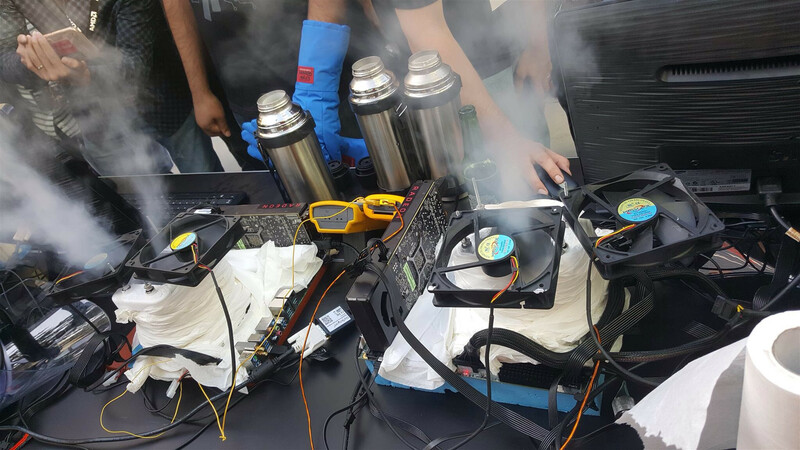 The feat was achieved under a Thermaltake Water 3.0 liquid cooler, on a non-specified ASRock motherboard with all DIMM channels populated with 8 x 8 GB 3066 MHz DIMMs. At 4.0 GHz, the Threadripper 1950X achieves a 3337 points score on Cinebench R15. And at 4.1GHz, the big chip that can (we can't really call it small now can we?) manages to score 58391 points in Geekbench 3. While those scores are certainly impressive, I would just like to point out the fact that this is a 16-core CPU that overclocks as well as (and in some cases, even better than) AMD's 8-core Ryzen 7 CPUs. 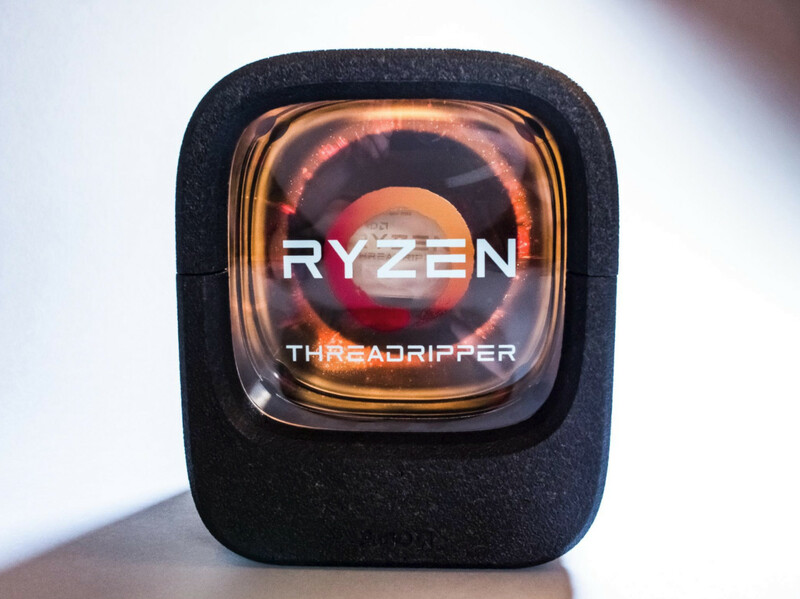 The frequency potential of this Threadripper part is in the same ballpark of AMD's 8-core dies, which speaks to either an architecture limit or a manufacturing one at around 4 GHz. 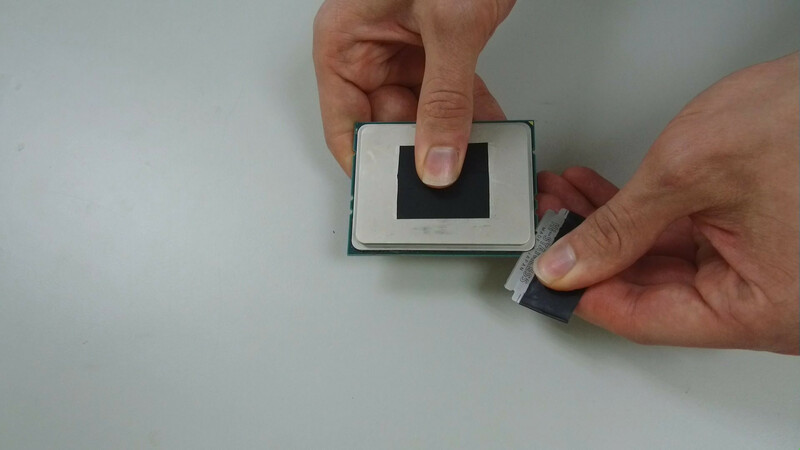 The Threadripper 1950X is, by all measurements, an impressively "glued together" piece of silicon. AMD maybe have shaken up the HEDT (high-end desktop) processor market with three Ryzen Threadripper SKU announcements early this week; but the two specifications that eluded us were their rated TDP and cache amounts. 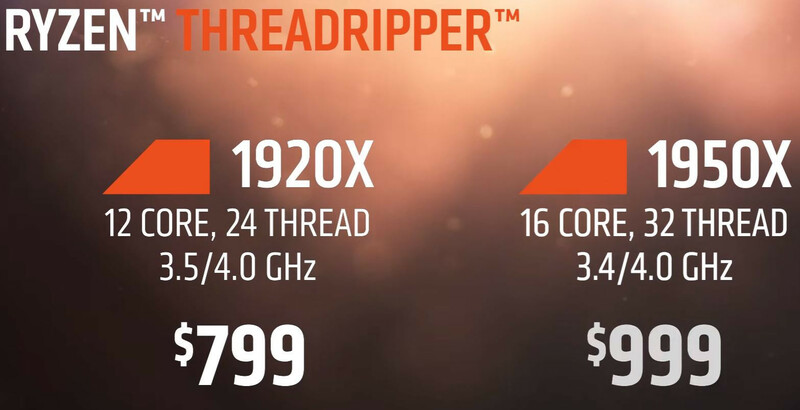 The first Ryzen Threadripper models will be available in the market from the 10th of August, and will include the 12-core/24-thread 1920X and the flagship 16-core/32-thread 1950X. Both models will feature the full 32 MB of L3 cache available from a pair of 14 nm "Summit Ridge" dies, which work out to "total cache" (L2+L3) amounts of 38 MB for the 1920X and 40 MB for the 1950X. The TDP of the 1920X and 1950X is rated at 180W. The TDP and cache configuration of the 8-core/16-thread 1900X remains unknown, for now. 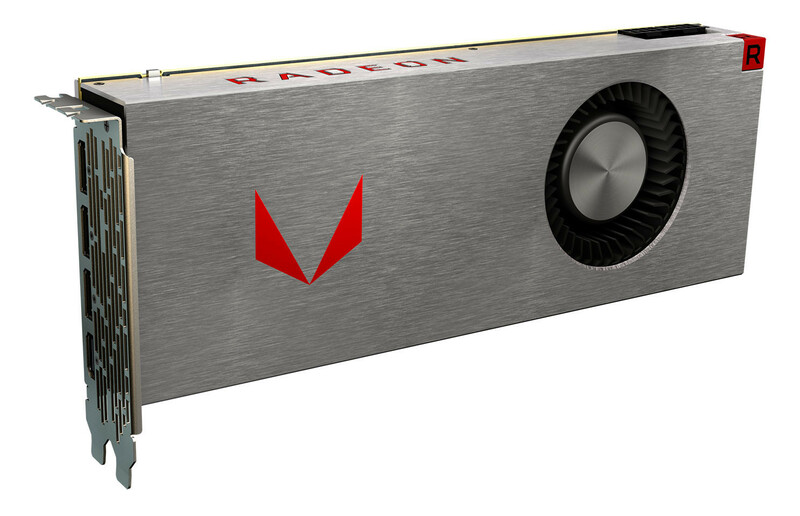 It has been a huge weekend of product announcements and launches from AMD, which expanded not just its client computing CPU lineup on both ends, but also expanded its Radeon graphics cards family with both client- and professional-segment graphics cards. This article provides a brief summary of everything AMD launched or announced today, with their possible market-availability dates. AMD Ryzen Threadripper Breaks 5.2 GHz + X399 Boards on Display! 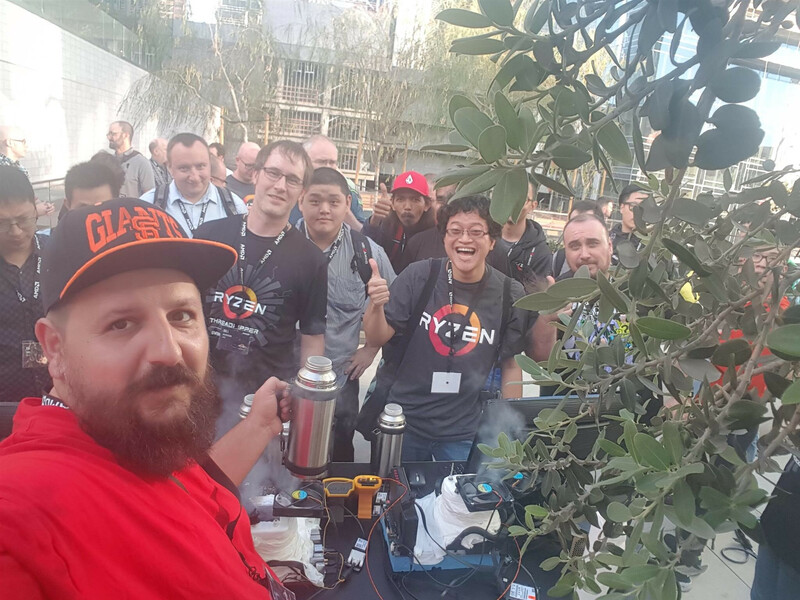 AMD did not just announce retail availability on Ryzen Threadripper today, they also had some on-site and arranged for a fun LN2 overclocking event as part of Capsaicin SIGGRAPH 2017. 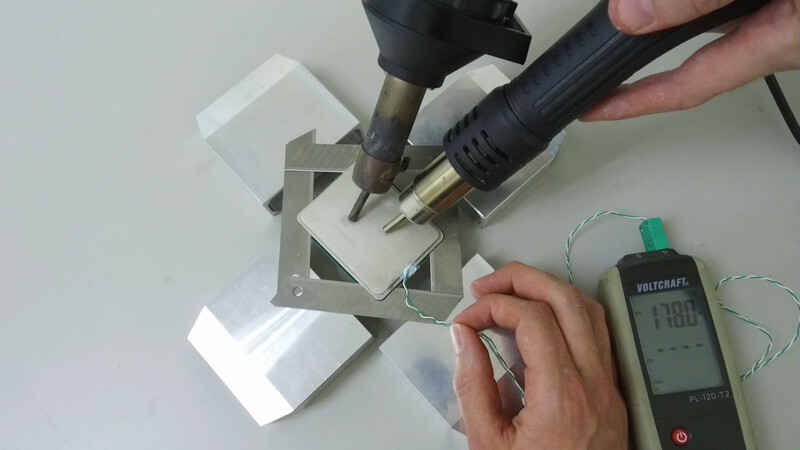 As always, such events are to give day one estimates on the maximum performance potential of the silicon which in turn guides end users and board partners alike on the worst case scenarios as far as power draw and cooling requirements go. 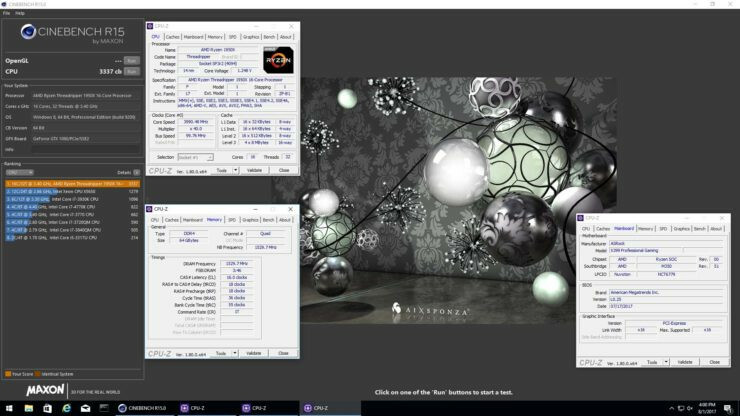 Monstru from Lab501 was kind enough to share a couple of pictures of the actual event with us while AMD followed up with a Cinebench R15 screenshot as seen below. All 16 cores of the Ryzen Threadripper 1950X were overclocked to 5.2 GHz with a x52 multiplier on a standard 100 MHz bus speed. Core VID from CPU-Z is not trustworthy at these temperatures, so presumably it was more in the range of 1.6 V than 1.16 V. They did have DDR4 RAM in quad channel but at the JEDEC base of 2133 MHz to get as high a CPU frequency without the IMC being a factor. 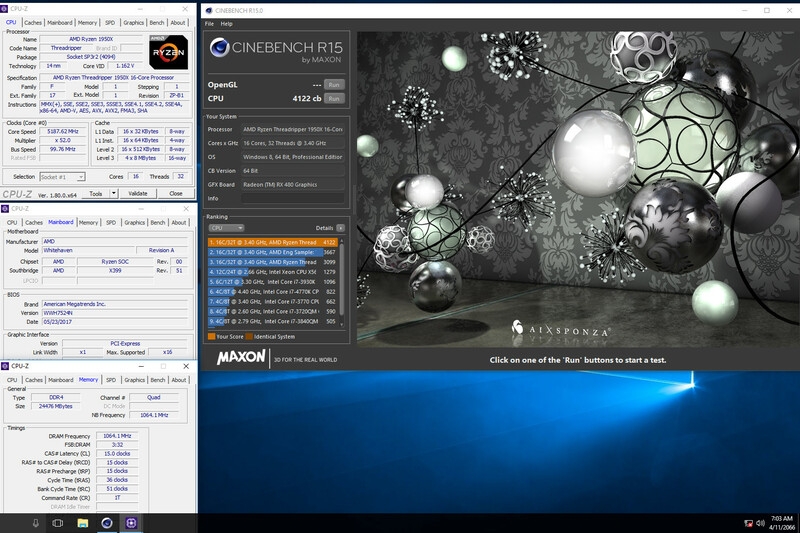 The Cinebench R15 score of 4122 cb is very impressive, given the previous high score for a 16-core CPU was 2867 cb, and it took a 28 core CPU to beat this score before. Sure, the days of high core count overclockable CPUs is only coming now but it goes to show where we were before AMD and Intel both decided to go big this generation. After the break we have some photographs of X399 motherboards from various manufacturers, so be sure to take a look. AMD today officially announced some more details on its brain-child and market-stormer Ryzen Threadripper HEDT line of CPUs. Ryzen is a true new stand-alone architecture for AMD, the result of more than four years of careful planning and silicon design towards reaching a truly scalable, highly-flexible, non-glued together MCM design that could power all experiences and workloads through a single architecture design. The Ryzen architecture is already powering desktops with Ryzen 3, 5 and 7 desktop CPUs; has extended to server-side deployments through its EPYC line-up and will begin shipping for professionals with Ryzen PRO starting in Q3 2017. 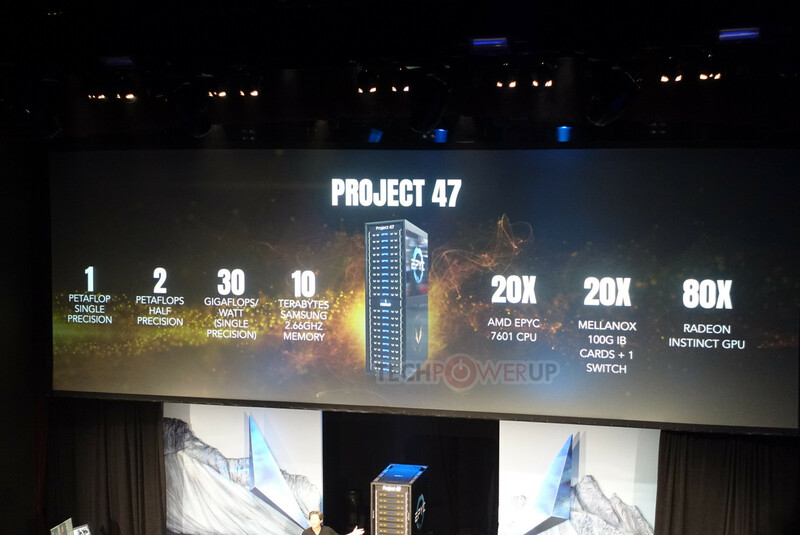 Also announced was that it will find its way to mobile APUs around Q4, paired with the new Vega graphics microarchitecture; and will even power professional-geared mobile solutions in 1H18. But more immediately, it's coming to the HEDT market. 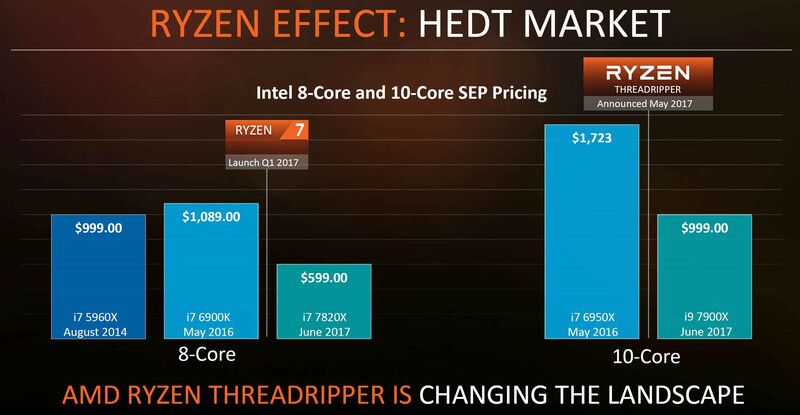 And AMD is putting that fight in the hands of Threadripper. 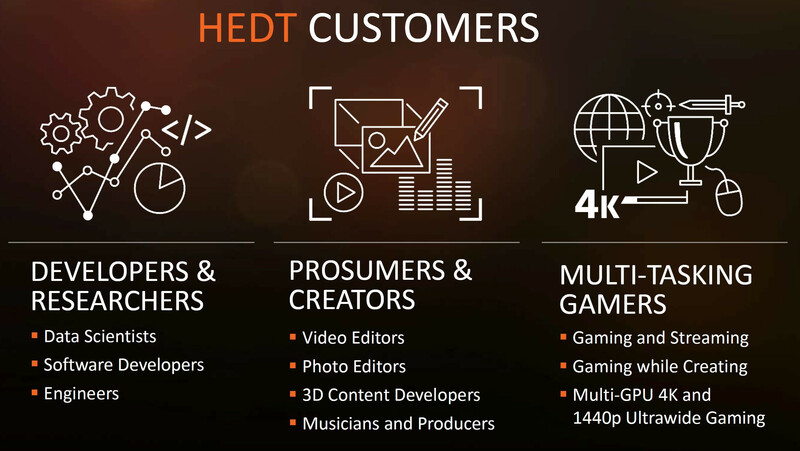 AMD pits its HEDT line-up to developers, researchers, prosumers, creators, and even multi-tasking gamers. Increased compute capabilities with up to 16 cores and 32 threads; larger memory footprint, increased I/O and storage, and support for many more GPUs and PCIe lanes ensure a stable, impressive platform for today's large data sets and tomorrow's exponentially more resource-intensive workloads. AMD will execute this with a three-pronged approach. There will be three processor models on offer for their HEDT platform. 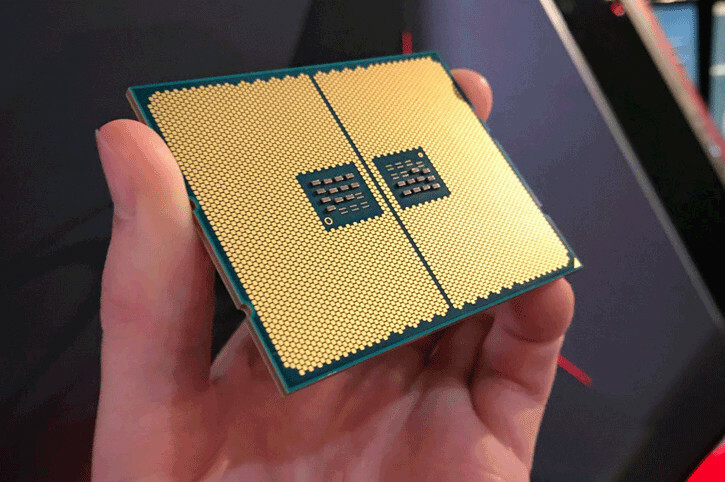 The $999 TR 1950X and $799 TR 1920X are known quantities already, with their respective 16 cores (32 threads) and 12 cores (24 threads). The new addition, however, comes in the form of the $549 TR 1900X, which offers not only 8 cores (16 threads) and 3.8 GHz base, 4.0 GHz boost clocks, but a clear upgrade path within AMD's new platform. Say what you will about AMD's offerings and execution, one thing is for sure: Zen and all the silicon it powers have prompted a reshuffle of the CPU landscape as we hadn't seen in years. Coincidence? AMD doesn't think so. Instead of the expected MCM composed of two dies (with two CCXs of four cores per die, delivering the 16 cores we were expecting), Ryzen Threadripper is actually a much more interesting chip: it seems to be a full fledged EPYC chip, with four dies of eight cores. 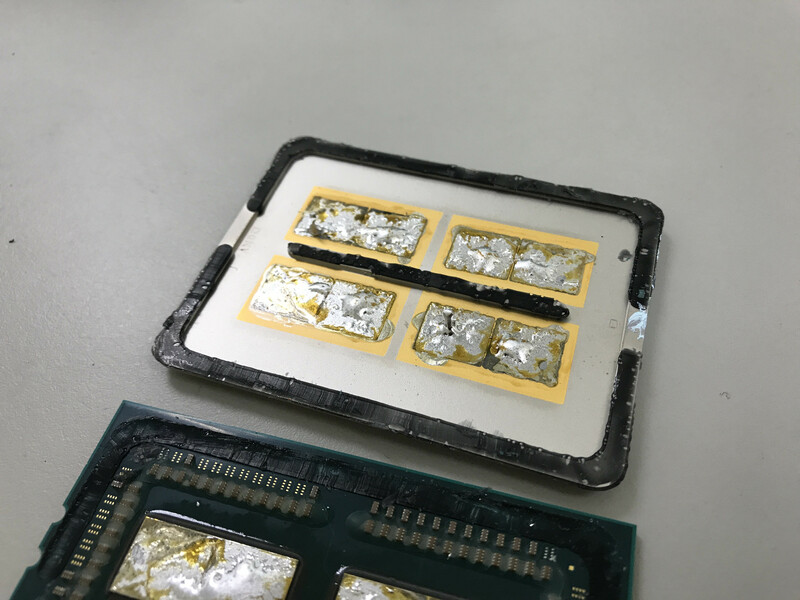 According to der8auer, when questioned, AMD confirmed that 16-core Threadripper 1950X CPUs are configured with two working eight core dies (four CCXs of four cores each), while the other eight-core dies are disabled by AMD. 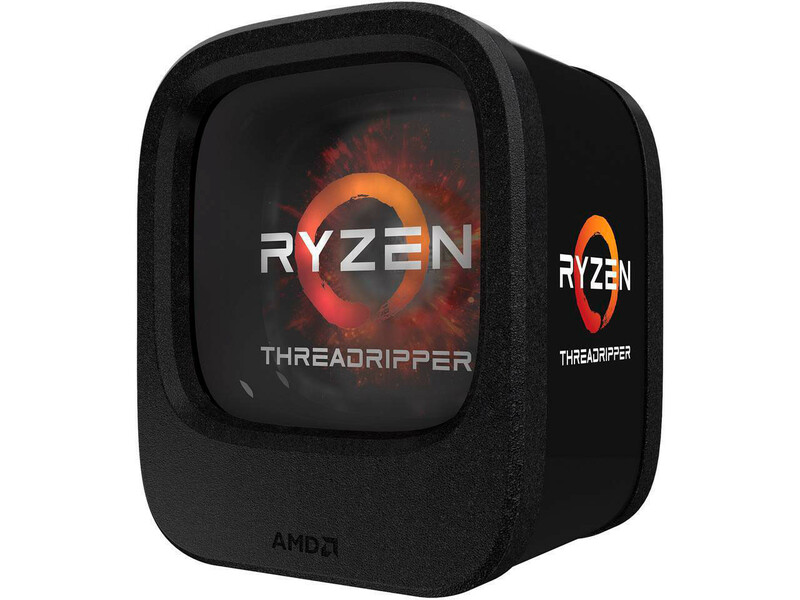 AMD Ryzen Threadripper Retail Packaging Pictured? 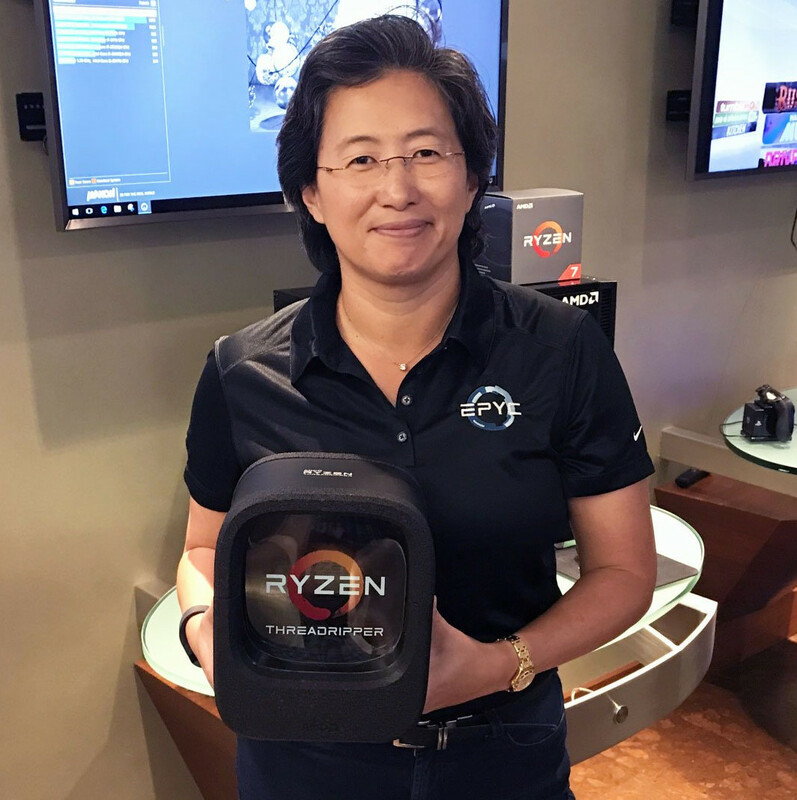 AMD CEO Lisa Su, ahead of the company's grand SIGGRAPH event, unveiled what could very well be the retail packaging of the company's upcoming Ryzen Threadripper HEDT processors. 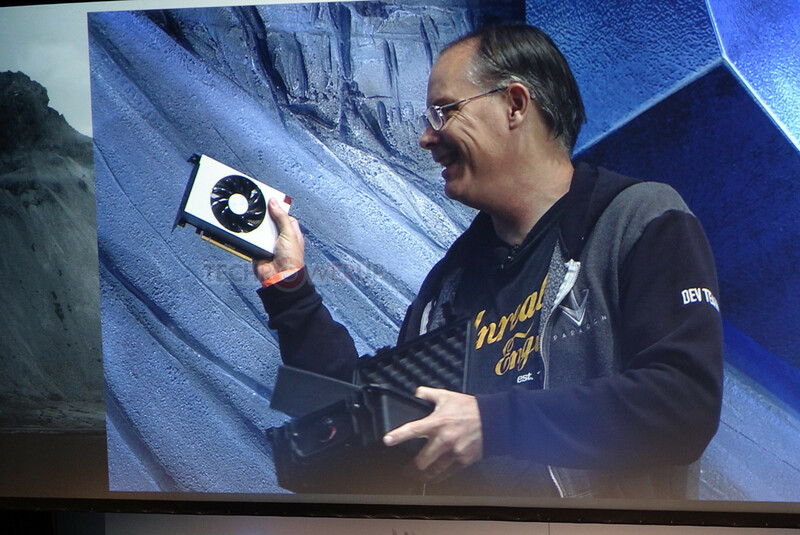 There's a good possibility that this isn't the retail packaging, because it looks shaped like an old-school television, and could be a prop AMD is using for its SIGGRAPH booth, or it's a special packaging AMD is reserving for reviewers (the company does that with most of its flagship products). 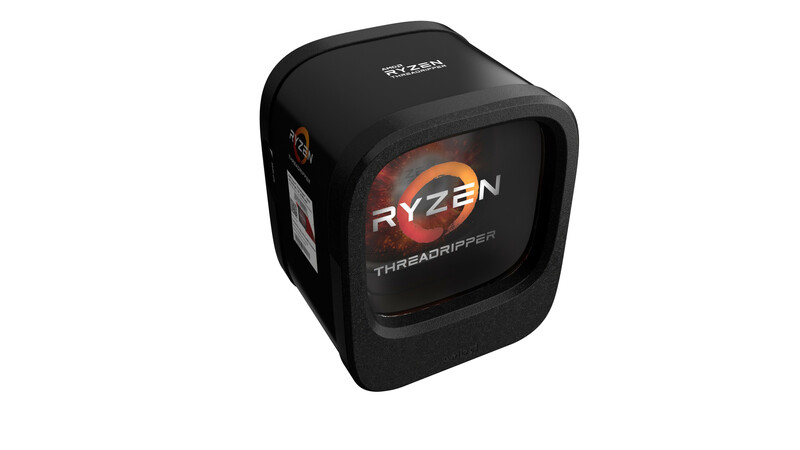 The rounded cuboid box features a prominent window with a CRT-like convex bulge through which you can look at the large Ryzen Threadripper chip. There's minimal branding or literature on the box itself, which could indicate the presence of an outer cover. 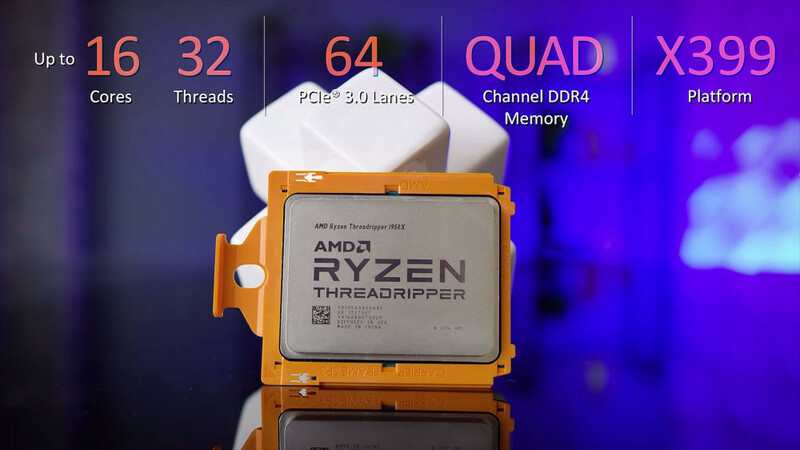 AMD is planning to launch its Ryzen Threadripper lineup with two SKUs for the retail (DIY) channel, the 12-core/24-thread Ryzen Threadripper 1920X, and the 16-core/32-thread Ryzen Threadripper 1950X. The two parts will be accompanied by a small but growing selection of compatible socket TR4 motherboards based on the AMD X399 chipset, by industry majors such as ASUS, ASRock, and GIGABYTE. The processor is expected to be available by 9th August. 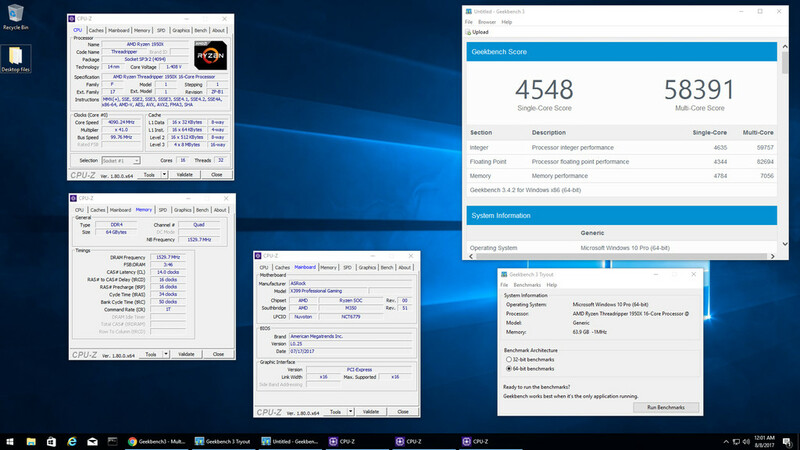 With AMD's Threadripper family just a few weeks away from launch, it appears we are already getting some preliminary benchmark results in via both Geekbench and SiSoft Sandra benchmarks. 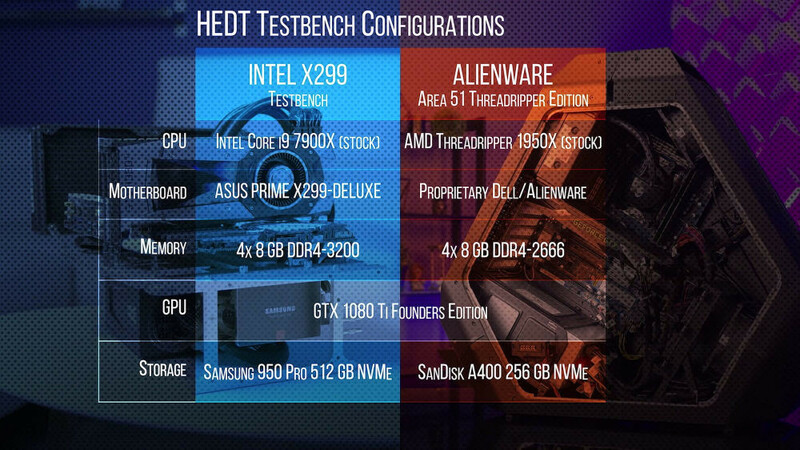 This latest set of leaks isn't the first bench of the flagship 1950X, but it is the newest and thus should give us a more accurate picture of present optimizations. 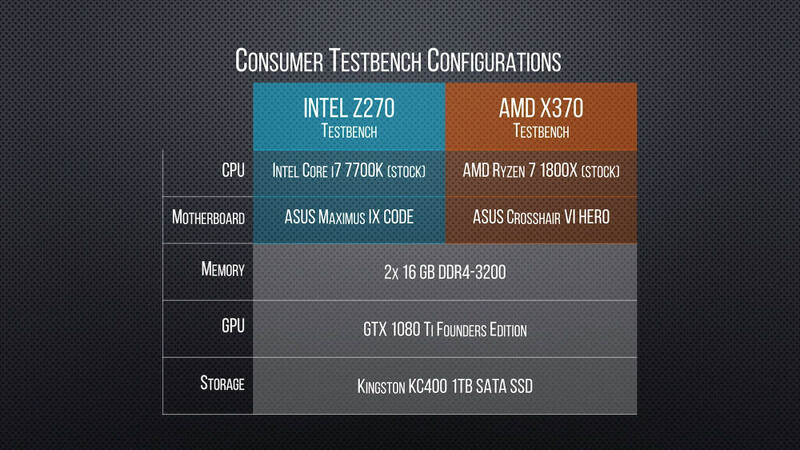 Interestingly, the single core performance dropped a bit on GeekBench, from 4216 to 4074. It made up for it in multi-threading however, where the chip posted a result of 26768, up from 24723. Sadly, these numbers still pale in comparison to the 10-core i9-7900X, in both single threaded and multi-threaded figures. As the 1950X ships with significantly lower clocks compared to the i9-7900X's clocks (with boost considered, anyway), I suppose it truly will come down to whether these CPUs can close the gap via overclocking, or optimizations towards launch and beyond. Either way, it seems there may be a bit of a hill to climb to get there. Whether or not it is surmountable remains to be seen.